Before discovering the tasty curry laksa at Restoran 168 in Pudu, rif and I tried Ah Koong Eating House, located not too far away. I was told this place gets pretty crowded during peak hours but since we were there during the weekend, I didn’t have to wait very long. 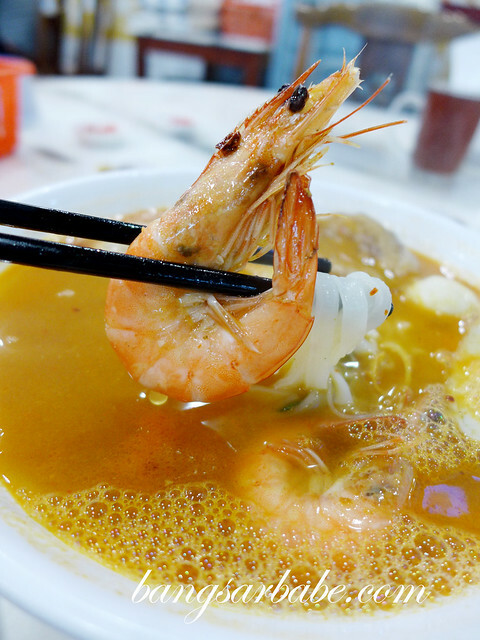 Ah Koong is known for its noodles – you basically pick and choose your preferred ingredients, noodle type and broth, and the staff will prepare them for you. 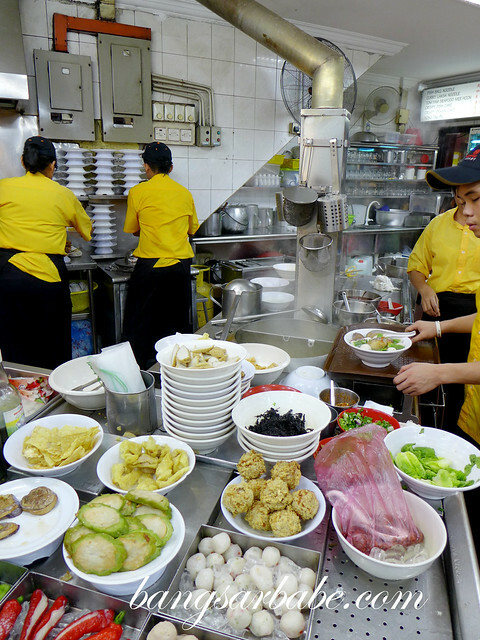 The fish balls and yong tau fu are pretty popular too, judging from the number of orders by other patrons. I ordered a bowl of curry laksa and opted for the spinach noodles instead of my regular hor fun. On top of the noodles, I added some pork meat balls and stuffed brinjal from the yong tau fu selection. rif had the seafood tom yam with hor fun (RM12.50 with some add-ons). While the curry broth was pretty decent, I liked the tom yam better. 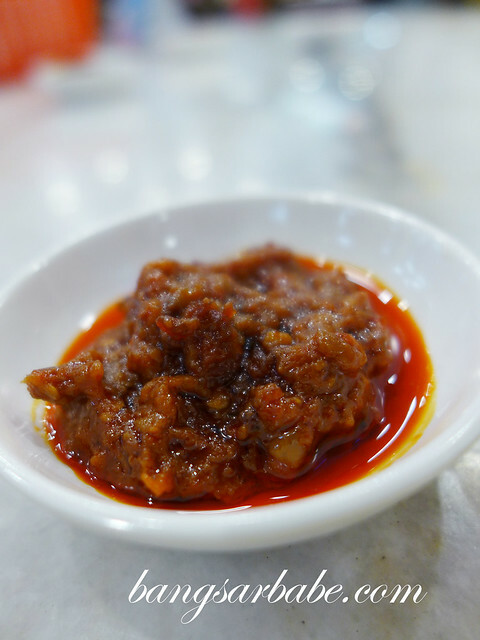 It was aromatic from the lemongrass and spicy enough for me. 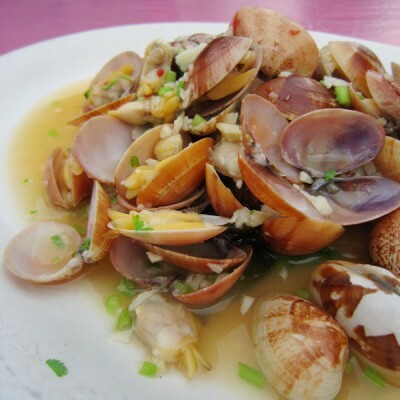 The seafood could have been fresher, but it did give the broth a sweet flavour. My curry laksa was not as thick as I would have liked it to be, but it was alright, especially when eaten with some sambal chilli. 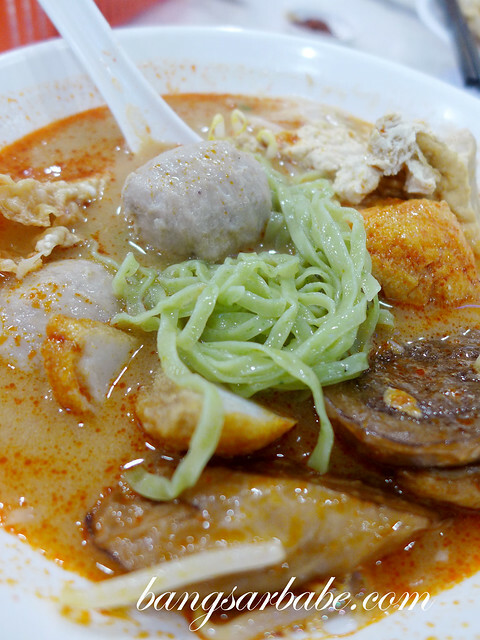 A bowl cost RM12.70, after adding in the pork meat balls, brinjal and fried items. 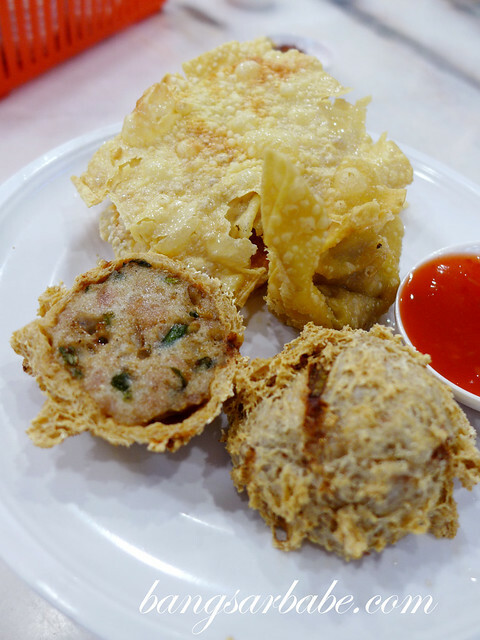 The fried items (RM4.80) we picked were served separately. My favourite was the fried stuffed tofu puff – generously filled and delicious with chilli sauce. On the whole, the food here isn’t much to shout about. But if you want a decent bowl of noodles with good add-ons, this is worth a shot. Verdict: Decent noodles with a good selection of add-ons. First thanks for sharing your experiences, always a pleasure to read your blog! I work nearby so I’ve eaten at some of the places in the vicinity. If you like soup pan mee, try the one opposite Shaw Parade in the roofed area, opens after 5pm. Really good soup pan mee, their “neighbors” sell chicken soup in the coconut with rice, stir fried vege and wild boar curry (meat may be a bit tough but the curry’s alright), plus assorted soups (I heard they have squirrel soup, didn’t check that out).